We present a multi-view stereo method that avoids producing hallucinated surfaces which do not correspond to real surfaces. Our approach to 3D reconstruction is based on the minimal s-t cut of the graph derived from the Delaunay tetrahedralization of a dense 3D point cloud, which produces water-tight meshes. This is often a desirable property but it hallucinates surfaces in complicated scenes with multiple objects and free open space. For example, a sequence of images obtained from a moving vehicle often produces meshes where the sky is hallucinated because there are no images looking from the above to the ground plane. We present a method for detecting and removing such surfaces. The method is based on removing perturbation sensitive parts of the reconstruction using multiple reconstructions of perturbed input data. 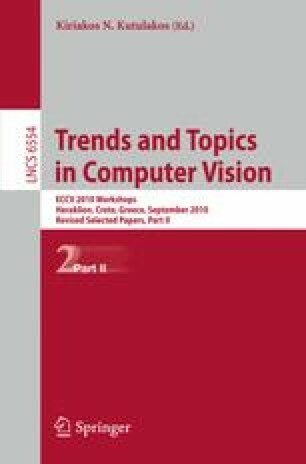 We demonstrate our method on several standard datasets often used to benchmark multi-view stereo and show that it outperforms the state-of-the-art techniques .